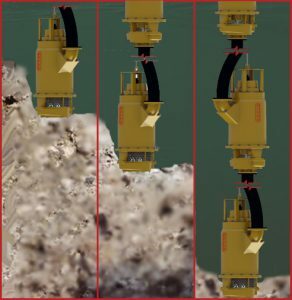 For very deep pump application, the High Head Slurry Series Pumping System is a viable solution able to pump heads of 250m per stage, through multiple stages. 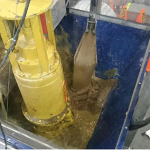 The pump system can be created according to the application depth and thus can go as deep as required. 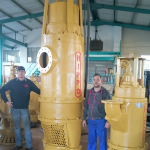 An unlimited pumping head can be achieved utilizing the Hippo High Head Slurry Submersible Pump and pumping the discharge from the first pump into the inlet of the second pump and so on. 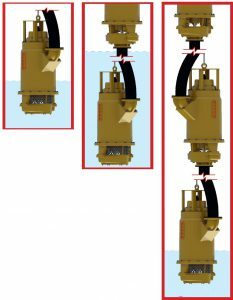 With continuous "run dry" capability the Hippo High Head submersible slurry pump range the possibility of the pump overhearing when running dry is eliminated. Heads of up to 250 meter per stage can be achieved. Duplex Stainless Steel such as CD4MCu with the capability to pump acidic liquids that contain solids is used.